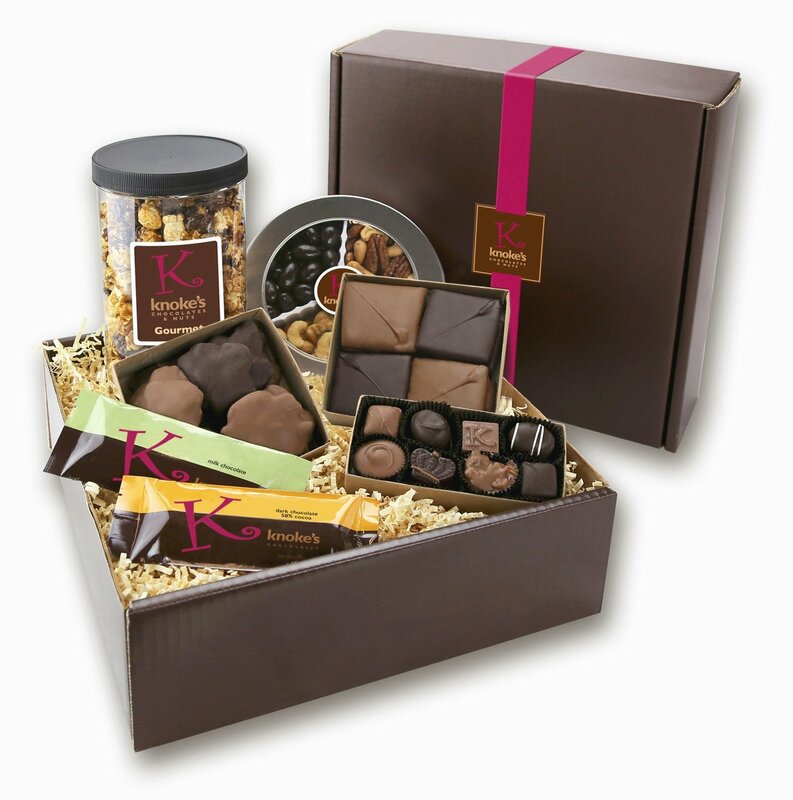 Our gift boxes come with a delicious variety of sweet treats to tantalize you taste buds! Made fresh to order. Our $70.00 gift box includes a gourmet popcorn, 3-way assorted nut tin, assorted Enlglish Toffee, assorted Milk and Dark Turtles, 8pc assorted chocolate box, and our ever loved Milk and 58% Dark Chocolate Bar. Yumm!